With personal trainers producing YouTube fitness videos, iPod Nanos sporting pedometers, and yogis practicing tree pose using the Wii Fit--technology has become one of the best ways to set and maintain fitness goals. 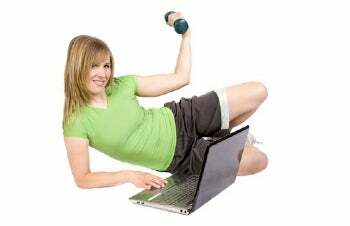 We consulted sports professionals, fitness enthusiasts, and tech companies to find the latest and most interesting hardware, software, and Websites that you can use to get in shape and stay the course. A portable music player is still as important to workouts today as it was when the first wave of yellow Sony Walkmans hit gyms in the early 1980s. (For more tech oldies, see "The 50 Greatest Gadgets of the Past 50 Years.") One new fitness-focused model is the Philips Activa ($130), which adds workout software to a combination portable media player and FM radio. Enter your age, weight, and height, and the Activa will count calories, time, or distance as you engage in an activity such as running, cycling, or rowing. Use the TempoMusic feature in conjunction with the up and down arrows to find songs that match your speed, so you won't find yourself listening to speed metal during your cooldown. Need a little encouragement? Program a male or female voice to update you (whenever you hit the Boost button) on calories burned, distance covered, or simply the virtues of staying the course. Plus, you can download all of this information to your PC and track it over time. The ultimate athlete's gadget is a heart-rate monitor. 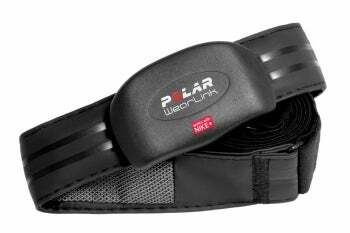 Polar, a popular maker of heart-rate monitors, has recently teamed up with Nike, which makes the Nike+ SportBand and iPod Sport Kit, to create the Polar WearLink+ Transmitter Nike+ (street price $70). This awkwardly named chest strap, slated to be available before the end of June 2010, transmits your heart-rate data to Nike+ devices for upload to the Nikeplus.com Web service for tracking over time. It's compatible with the fifth-generation iPod Nano and Nike+ iPod Sport Kit. Want the pedometer sans the iPod? Released last year, FitBit ($99) is a souped-up pedometer that uses a 3D motion sensor to track your walks and runs, count your calorie intake, and even gauge how well you slept based on movements you made during the night. Wear the tiny clip at all times (in an included wristband while you sleep) and when you walk by the bundled base station, the FitBit will transmit data via a close-range wireless signal to FitBit.com, where you can track your activity over time. The base station also charges your device. The FitBit is made for walking, running, and general everyday activities. It won't accurately measure long bike rides, however, and it isn't waterproof so don't swim with it.